» Every Wednesday, Toronto Raptors game reviews, hot topics & insights from the fun, high-energy duo, Mikey Charley + Illicit. They dish interactive fan segments, real unauthorized Raptors tales, head-to-head battles & additional features to set you, the Raptors fan, up with More Of What You Deserve! ~ SUBSCRIBE/FOLLOW the #TCAO podcast NOW! The Raptors took the Game 1 L from the Magic but bounced back big in Game 2! Playoff Kawhi Leonard is absolutely dominant and Kyle Lowry seems to have rediscovered his aggressive offensive touch. It should be a quick series moving forward but who do we face next? Mikey Charley talks to some fans at Jurassic Park and we also let you in on ways YOU CAN WIN PLAYOFF TICKETS! LISTEN NOW! Raptors Fans, enhance your hype! The 2019 Playoffs 1st Round Magic TRAP'D Mix is up and 🔥🔥🔥! Click HERE to LISTEN NOW! Find us on social media @trapd95 and find more of what you deserve at trapdsince95.com - The season starts now, for real! #TCAO We want to hear from YOU! Follow us, subscribe, turn on notifications, listen, comment and share. Subscribe to the TRAP'D Chat Alley-Oop podcast by searching for "TCAO" in your favourite podcast app. Illicit rejoins Mikey Charley as they make their NBA Playoff first round predictions and set up the Raptors' outlook at the moment. The Toronto Raptors finish the 2018-19 NBA Regular Season with a 58-24 record, good for second best in the league behind the Bucks. The Orlando Magic are our first round opponents, led by Nikola Vucevic, Aaron Gordon and former Raptor Terrence Ross. Get the broom! LISTEN NOW! Raptors Fans, enhance your hype! The 2019 Playoffs 1st Round Magic TRAP'D Mix is up and 🔥🔥🔥! Click HERE to LISTEN NOW! Find us on social media @trapd95 and find more of what you deserve at trapdsince95.com - The season starts now, for real! #TCAO We want to hear from YOU! Follow us, subscribe, turn on notifications, listen, comment and share. Subscribe to the TRAP'D Chat Alley-Oop podcast by searching for "TCAO" in your favourite podcast app. LISTEN NOW! Raptors fans, be sure to check out the Raptors End of Season TRAP'D Mix! Click HERE to LISTEN NOW! Find us on social media @trapd95 and find more of what you deserve at trapdsince95.com - For The Win! #TCAO Toronto Raptors fans, we want to hear from YOU! Follow us, subscribe, turn on notifications, listen, comment and share. Subscribe to the TRAP'D Chat Alley-Oop podcast by searching for "TCAO" in your favourite podcast app. Pascal Siakam NOT the Most Improved Player?! Fools, they are! Mikey Charley calls out Richard Jefferson and Tracy McGrady on their hot-garbage take on MIP. He also takes a look at the Raptors' strategy as the regular season winds down and notes some aspects that Toronto still needs to work on. LISTEN NOW! Raptors fans, be sure to check out the All-Star Gasol-Lin TRAP'D Mix! Click HERE to LISTEN NOW! The End of Season TRAP'D Mix coming soon! Find us on social media @trapd95 and find more of what you deserve at trapdsince95.com - This isn't even our final form! #TCAO Toronto Raptors fans, we want to hear from YOU! Follow us, subscribe, turn on notifications, listen, comment and share. Subscribe to the TRAP'D Chat Alley-Oop podcast by searching for "TCAO" in your favourite podcast app. Relax. Kawhi feels good and the REAL NBA season lies ahead. The Toronto Raptors have 9 games left in the regular season and have shown flashes of a championship level team. Also mixed with some frustrating lapses. In the grand scheme, the Raptors are in good shape on multiple fronts. Leonard speaks on his trust and moving forward together with the Raptors while Gasol is becoming a conduit beyond stats. Oh yeah, Toronto hasn't really had their full squad all healthy at the same time yet. KLow's on the R&R so just you wait, there' s better still. LISTEN NOW! Raptors fans, be sure to check out the All-Star Gasol-Lin TRAP'D Mix! Click HERE to LISTEN NOW! Find us on social media @trapd95 and find more of what you deserve at trapdsince95.com - This isn't even our final form! #TCAO Toronto Raptors fans, we want to hear from YOU! Follow us, subscribe, turn on notifications, listen, comment and share. Subscribe to the TRAP'D Chat Alley-Oop podcast by searching for "TCAO" in your favourite podcast app. Raptors fans, be sure to check out the All-Star Gasol-Lin TRAP'D Mix! Click HERE to LISTEN NOW! Is Marc Gasol the piece we thought he was? The Raptors paired an eventual blowout and a fantastic win with a brutal loss this week as they continue to search for chemistry and consistency. Mikey Charley and Illicit have different takes on the Gasol issue, one is fed up and the other is preaching patience. They also touch on Westbrook vs racist fans and Ibaka vs Chriss. Hold on for the regular season home stretch. LISTEN NOW! Find us on social media @trapd95 and find more of what you deserve at trapdsince95.com - Really though, time to get up! #TCAO Toronto Raptors fans, we want to hear from YOU! Follow us, subscribe, turn on notifications, listen, comment and share. Subscribe to the TRAP'D Chat Alley-Oop podcast by searching for "TCAO" in your favourite podcast app. Raptors fans, be sure to check out the All-Star Gasol-Lin TRAP'D Mix! Click HERE to LISTEN NOW! The Raptors survived the Blazers but helped defeat themselves in games against former bench boss Dwane Casey's Pistons and the Harden-led Rockets. The dynamic duo of Mikey Charley and Illicit reunite to discuss how unimpressed they are with Toronto's recent play and difficulties incorporating new Raptors Marc Gasol and Jeremy Lin. They also look ahead at the remaining games and see a silver lining. LISTEN NOW! Find us on social media @trapd95 and find more of what you deserve at trapdsince95.com - Now it's just time to get up! #TCAO Toronto Raptors fans, we want to hear from YOU! Follow us, subscribe, turn on notifications, listen, comment and share. Subscribe to the TRAP'D Chat Alley-Oop podcast by searching for "TCAO" in your favourite podcast app. Raptors fans, be sure to check out the All-Star Gasol-Lin TRAP'D Mix! Click HERE to LISTEN NOW! Two high-energy Raptors games against DeMar DeRozan's Spurs and the dysfunctional Celtics sandwiched a stinker versus the Magic this week. Mikey Charley runs them back and cues up the coming week while Illicit details his firsthand experience in-arena for DeMar's return game to Toronto! LISTEN NOW! Find us on social media @trapd95 and find more of what you deserve at trapdsince95.com - Gotta get down to get up! #TCAO Toronto Raptors fans, we want to hear from YOU! Follow us, subscribe, turn on notifications, listen, comment and share. Subscribe to the TRAP'D Chat Alley-Oop podcast by searching for "TCAO" in your favourite podcast app. Check out the All-Star Gasol-Lin TRAP'D Mix! Click HERE! Since DeMar has been traded, the Raptors roster has evolved. Coming out of the All-Star break, Toronto's former star returns to face a drastically different squad! The TCAO duo talk about the highly anticipated Raptors-Spurs matchup and speaking of All-Star Weekend, they take a look at Toronto's participants and how they fared. Illicit even has some ideas on All-Star reform! Of course, we had to talk about future All-Star Siakam setting another career high! LISTEN NOW! Find us on social media @trapd95 and find more of what you deserve at trapdsince95.com - Watch as the stars alignn! #TCAO Toronto Raptors fans, we want to hear from YOU! Follow us, subscribe, turn on notifications, listen, comment and share. Subscribe to the TRAP'D Chat Alley-Oop podcast by searching for "TCAO" in your favourite podcast app. Moves have been made, games have been won. Gasol and Linsanity are in, Valanciunas, Delon, CJ, Moose and Malachi are out. The Raptors look drastically different than it did a year ago, but will it translate to success in the playoffs? Mikey Charlie and Illicit have thoughts, of course. Oh ya, it's All-Star Weekend too! LISTEN NOW! Find us on social media @trapd95 and find more of what you deserve at trapdsince95.com - Raptors 2018 playoff run, fuelled by Gasol-Lin-a! #TCAO Toronto Raptors fans, we want to hear from YOU! Follow us, subscribe, turn on notifications, listen, comment and share. Subscribe to the TRAP'D Chat Alley-Oop podcast by searching for "TCAO" in your favourite podcast app. As the Eastern Conference landscape shifts before our very eyes, the Raptors need to make a bold move to support their visions of a Finals run. What moves can/should be made though? Mikey Charley and Illici have ideas! LISTEN NOW! Find us on social media @trapd95 and find more of what you deserve at trapdsince95.com - Fly the winds of change! #TCAO Toronto Raptors fans, we want to hear from YOU! Follow us, subscribe, turn on notifications, listen, comment and share. Subscribe to the TRAP'D Chat Alley-Oop podcast by searching for "TCAO" in your favourite podcast app. *NOTE* Audio has been replaced with the correct episode. Please re-download if necessary. We apologize for any inconvenience. With Anthony Davis demanding a trade, Mikey Charley and Illicit discuss what it would take for the Raptors to land the disgruntled Pelican. The trade deadline approaches and Toronto seems to be lacking something, can you feel it in the air? The NBA playoff landscape is also examined and the injury bug is hitting hard in fantasy league. LISTEN NOW! Find us on social media @trapd95 and find more of what you deserve at trapdsince95.com - Fly Pelican, fly... North! #TCAO Toronto Raptors fans, we want to hear from YOU! Follow us, subscribe, turn on notifications, listen, comment and share. Subscribe to the TRAP'D Chat Alley-Oop podcast by searching for "TCAO" in your favourite podcast app. Kawhi has missed four games in a row as the Raptors continue to struggle with their 3-point shooting efficiency! Illicit is back alongside Mikey Charley as they review the past week's games, preview a light upcoming week, and check in on the fantasy basketball front. LISTEN NOW! Find us on social media @trapd95 and find more of what you deserve at trapdsince95.com - No pause for the cause here though! #TCAO Toronto Raptors fans, we want to hear from YOU! Follow us, subscribe, turn on notifications, listen, comment and share. Subscribe to the TRAP'D Chat Alley-Oop podcast by searching for "TCAO" in your favourite podcast app. Kawhi Leonard is carrying the Raptors, but he can't do it by himself. Other guys need to step up in marquee matchups in order for Toronto to experience ultimate success. 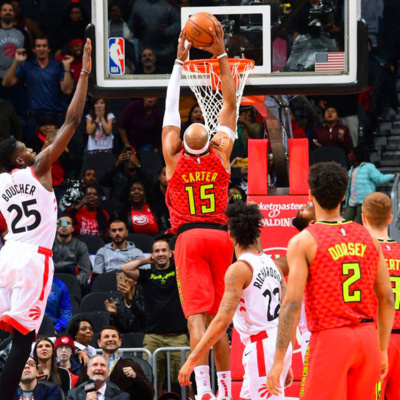 TRAP'D Chat Alley-Oop returns as Mikey Charley is fresh off vacay and flying solo to recap the last two weeks of Raps games and prep you for this week's slate. LISTEN NOW! Find us on social media @trapd95 and find more of what you deserve at trapdsince95.com - Don't trip, we're back with that heat! #TCAO Toronto Raptors fans, we want to hear from YOU! Follow us, subscribe, turn on notifications, listen, comment and share. Subscribe to the TRAP'D Chat Alley-Oop podcast by searching for "TCAO" in your favourite podcast app. One of the most anticipated games of the Raptors season is here! Kawhi Leonard returns to San Antonio to face the franchise that Spurned him, fresh off a career-high 45 points. DeMar DeRozan plays against the Raptors for the first time in his career. Mikey Charley and Illicit tee up this matchup along with crucial games against the Bucks and Pacers, review last week's games, and check in on what the fans are thinking. Happy New Year, Raptors fans. LISTEN NOW! Find us on social media @trapd95 and find more of what you deserve at trapdsince95.com - We gon' get Kawhi-gh tonight! #TCAO Toronto Raptors fans, we want to hear from YOU! Follow us, subscribe, turn on notifications, listen, comment and share. Subscribe to the TRAP'D Chat Alley-Oop podcast by searching for "TCAO" in your favourite podcast app. The BEST team in the NBA! 2018 was mostly a great year for the Toronto Raptors although there were some dark clouds and franchise altering surprises along the way. In Part 2 of the episode, Mikey Charley and Illicit are joined by Big Beezee for the Raps year in review. 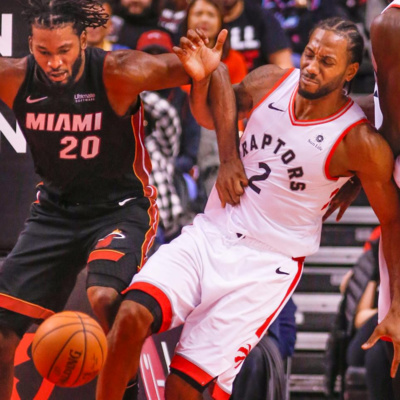 From highlights, to playoff disappointment at the hands of LeBron, to the COY firing, to the DeMar for Kawhi trade, a Top 6 Raptors battle and so much more, this is an energetic two-part episode you must hear! LISTEN NOW! Find us on social media @trapd95 and find more of what you deserve at trapdsince95.com - One end is another beginning. #TCAO Toronto Raptors fans, we want to hear from YOU! Follow us, subscribe, turn on notifications, listen, comment and share. Subscribe to the TRAP'D Chat Alley-Oop podcast by searching for "TCAO" in your favourite podcast app. The BEST team in the NBA, yet no Christmas game! No matter. 2018 was mostly a great year for the Toronto Raptors although there were some dark clouds and franchise altering surprises along the way. Before we get to the year in review, Mikey Charley runs back the games from the past week, looks ahead to the upcoming games, and sounds off on Christmas in Part 1 of this episode. LISTEN NOW! Find us on social media @trapd95 and find more of what you deserve at trapdsince95.com - One last dance before the end. #TCAO Toronto Raptors fans, we want to hear from YOU! Follow us, subscribe, turn on notifications, listen, comment and share. Subscribe to the TRAP'D Chat Alley-Oop podcast by searching for "TCAO" in your favourite podcast app. Should the Raptors chase Anthony Davis? Toronto swept the champs, fell in the city of roses, stumbled on the Nuggets and rode the Pacers to a photo-finish victory in the last week. Mikey Charley and Illicit recap these games, take their weekly look at the Bermuda Triangle of Raptors bad stats, discuss James Harden's Jedi allure of the officials, and reason why/for who Toronto should look into acquiring AD. LISTEN NOW! Next week is the TCAO Special Edition 2018 Rap-Up show. Stay Tuned! Find us on social media @trapd95 and find more of what you deserve at trapdsince95.com - We bend and do not break. #TCAO Toronto Raptors fans, we want to hear from YOU! Follow us, subscribe, turn on notifications, listen, comment and share. Subscribe to the TRAP'D Chat Alley-Oop podcast by searching for "TCAO" in your favourite podcast app. The real Kyle Lowry is back, but not before Illicit rants about his recent slump. 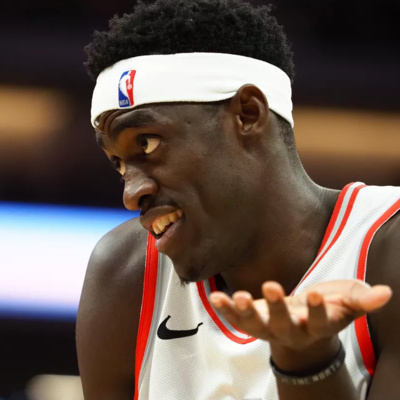 Mikey Charley continues to Rave about Pascal Siakam as they discuss the rollercoaster week the Raptors had, look forward to the week ahead, and celebrate the anniversary of the Rudy Gay trade that sparked this era of success in Toronto with some Raptors Tales. LISTEN NOW! Find us on social media @trapd95 and find more of what you deserve at trapdsince95.com - The squad is on their worst behaviour. #TCAO Toronto Raptors fans, we want to hear from YOU! Follow us, subscribe, turn on notifications, listen, comment and share. Subscribe to the TRAP'D Chat Alley-Oop podcast by searching for "TCAO" in your favourite podcast app. 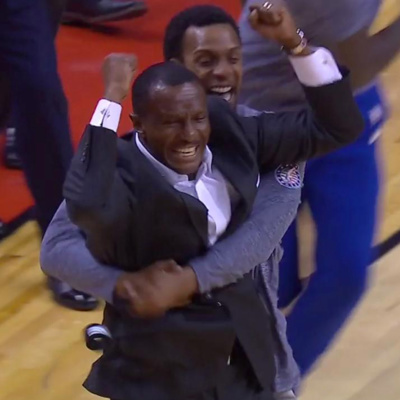 Toronto Raptors All-Access on ESPN and a mauling of the Sixers. What times are these?! It's happy-jolly... but wait *record player screeching* ............... Mikey Charley and Illicit point out the storm clouds (aka Issues that need to be addressed) in the Raptors clear blue skies as they head into the most treacherous part of their schedule. They also review the fantastic wins against the Warriors and Cavs, the painful L against the Nuggets, cue up the next games vs. the Nets, Bucks, Clippers and Warriors (again), and battle x-factors Danny Green vs. Pascal Siakam in TRAP'D Ground. LISTEN NOW! Find us on social media @trapd95 and find more of what you deserve at trapdsince95.com - All-Access 24/7/365! #TCAO Toronto Raptors fans, we want to hear from YOU! Follow us, subscribe, turn on notifications, listen, comment and share. Subscribe to the TRAP'D Chat Alley-Oop podcast by searching for "TCAO" in your favourite podcast app. A quarter of the Raptors regular season is complete and it's time to start believing what they're doing is for real! Mikey Charley and Illicit size up Toronto's first quarter of the 2018-19 season, battle/compare it to the start of last season, and debut What The Ref with a non-call and subsequent first ever regular season tech on Kawhi Leonard. They also review last week's games vs. the Wizards, Heat and Grizzlies and set up coming games including the huge showdown vs. the NBA champion Warriors (also the Cavs, Nuggets and Sixers), with fantasy league talk sprinkled throughout. Find us on social media @trapd95 and find more of what you deserve at trapdsince95.com - Technique, once you get it you never sweat it! #TCAO Toronto Raptors fans, we want to hear from YOU! Follow us, subscribe, turn on notifications, listen, comment and share. Subscribe to the TRAP'D Chat Alley-Oop podcast by searching for "TCAO" in your favourite podcast app. The Raptors still own the NBA's best record despite last week's losing streak as Mikey Charley and Illicit ponder what it would take to get Bradley Beal in an OVO white and gold uni, congratulate Vince Carter on a rare feat vs. Toronto, and check in on their fantasy league head-to-head (it's not looking good for Mikey). Of course they also rewind the games of the past week and set you up for the week ahead. LISTEN NOW! Find us on social media @trapd95 and find more of what you deserve at trapdsince95.com - Last week we took some Ls but this week we bounced back! #TCAO Toronto Raptors fans, we want to hear from YOU! Follow us, subscribe, turn on notifications, listen, comment and share. Subscribe to the TRAP'D Chat Alley-Oop podcast by searching for "TCAO" in your favourite podcast app. They let Dwane Casey and the Pistons beat us though? Really!? Mikey Charley and Illicit share their thoughts on an unkind home stand in which the Raptors dropped their first two home games of the season in head-scratching fashion. Turnovers, poor shooting, and injuries are examined. The TCAO duo also cue up the next few games, Illicit goes on a rant, and the NBA scene is touched upon. Trouble between Durant and Draymond? Sixers worse with Butler? Carmelo cast away? Lou Will saves the day? Listen NOW! Find us on social media @trapd95 and find more of what you deserve at trapdsince95.com - 12-3 record and still unsatisfied, what a time! #TCAO Toronto Raptors fans, we want to hear from YOU! Follow us, subscribe, turn on notifications, listen, comment and share. Subscribe to the TRAP'D Chat Alley-Oop podcast by searching for "TCAO" in your favourite podcast app. ATTN: EDIT NOTICE BELOW It's an unorthodox solo ep with Mikey Charley highlighting the latest wins for the NBA's best team, our Toronto Raptors. He talks about the reSergence of Ibaka and the ascension of Pascal Siakam as he spices up the league. Mikey also discusses the ease in which this past week was handled and if we should expect more in the coming week. Find us on social media @trapd95 and find more of what you deserve at trapdsince95.com - by any means necessary. #TCAO Toronto Raptors fans, we want to hear from YOU! Follow us, subscribe, turn on notifications, listen, comment and share. Subscribe to the TRAP'D Chat Alley-Oop podcast by searching for "TCAO" in your favourite podcast app. NOTE: This episode has been edited on Sunday, November 11th, 2018 in order to improve on the initial production quality. If necessary, please re-download this episode so you may maximize your enjoyment. In the Halloween edition of TRAP'D Chat Alley-Oop, Mikey Charley is unfazed with the blemish in the Raptors' 3-1 week while Illicit takes some exception. 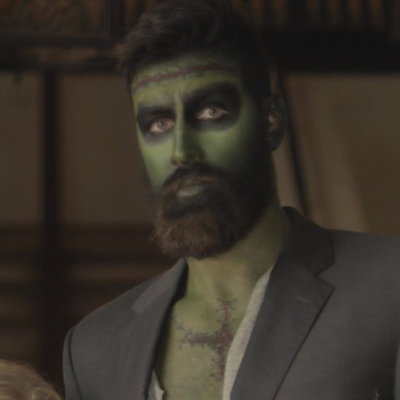 Next weeks games are cued up, the co-hosts have a Raptors costume battle, and some fantasy league smack talk is bandied about. Find us on social media @trapd95 and find more of what you deserve at trapdsince95.com - Whatever will boo, will boo! #TCAO Toronto Raptors fans, we want to hear from YOU! Follow us, subscribe, turn on notifications, listen, comment and share. Subscribe to the TRAP'D Chat Alley-Oop podcast by searching for "TCAO" in your favourite podcast app. The Raptors were a perfect 4-0 heading into the game vs. the Timberwolves (which they also won)! Mikey Charley and Illicit talk about the unsurprising but satisfying hot start from Kawhi Leonard, Kyle Lowry, and the other Raptors, and why you can expect even more. They also touch on the Lakers-Rockets melee, and a call from the Pistons-Sixers game gets them thinking about referee discipline. Find us on social media @trapd95 and find more of what you deserve at trapdsince95.com - We're on the right path! #TCAO Toronto Raptors fans, we want to hear from YOU! Follow us, subscribe, turn on notifications, listen, comment and share. Subscribe to the TRAP'D Chat Alley-Oop podcast by searching for "TCAO" in your favourite podcast app. The Toronto Raptors opened their season with a 116-104 W against the Cavs and Illicit talks to Mikey Charley who was on-scene for a special edition of TRAP'D Chat Alley-Oop. Topics covered: ~ Kawhi's first meaningful game as a Raptor ~ Lowry's play and leadership ~ Siakam's strong showing ~ Raptors vs Celtics comparison ~ Summing up the Wizards and Sixers ~ Fantasy league action ~ TCAO now on Spotify! Next week we are back to the scheduled program. Find us on social media @trapd95 and find more of what you deserve at trapdsince95.com - puff, puff, get ready for the pass! #TCAO Toronto Raptors fans, we want to hear from YOU! Follow us, subscribe, turn on notifications, listen, comment and share. Illicit says it was a glorified practice but along with Mikey Charley, they run back the Raptors exhibition game against Melbourne United. As well in this episode, they talk about the supposed open practice, Jimmy Butler inciting a volatile Timberwolves practice, and they themselves putting in reps ahead of the start of the NBA regular season next week. Other topics covered in TRAP'D Chat Alley-Oop 3.06: ~ preseason international games embarrassing NBA? ~ Powell shows out before injury ~ players report very 'chippy' preseason ~ Danny Green's new shoe contract, Kawhi next? ~ Nets and Pelicans to wrap up preseason ~ Mikey Charley to podcast live at season opener ~ a different, more vocal Kawhi ~ Raptors botched Open Scrimmage strategy ~ TCAO fantasy team drafted ~ request for help from YOU, the fan Segments in this episode: Run That Back The Jump We The Fans C'Mon Man TRAP'D Fantasy Find us on social media @trapd95 and find more of what you deserve at trapdsince95.com - go practice that, practice makes perfect! #TCAO Toronto Raptors fans, we want to hear from YOU! Follow us, subscribe, turn on notifications, listen, comment and share. Finally, GAMES! Raptors preseason action kicks off. Mikey Charley and Illicit welcome back special guest Edson Sasso as they run back the first two preseason games and give you the jump on a contest to WIN FOUR TIX to the Raptors season opener! Oh, also, Illicit challenges Edson to a duel in TRAP'D Ground! Other topics covered in TRAP'D Chat Alley-Oop 3.05: ~ Kawhi watch ~ Blazers game review ~ Jazz game review ~ JV's strong start ~ Upcoming game vs Melbourne United ~ Bench Mob on Ibaka's 'How Hungry Are You' show ~ Raptors players Top 5 Summer Hip-Hop albums ~ Lauren Miles interacts with us on Twitter ~ OG Anunoby (Illicit) vs Danny Green (Edson) ~ Edson encounters Sam Mitchell Segments in this episode: Run That Back The Jump We The Fans TRAP'D Ground Raptors Tales Find us on social media @trapd95 and find more of what you deserve at trapdsince95.com - if only Illicit could finish the Alley-Oop though! #TCAO Toronto Raptors fans, we want to hear from YOU! Follow us, subscribe, turn on notifications, listen, comment and share. What are you laughing at? Mikey Charley and Illicit run back Raptors Media Day (Kawhi laughed! ), give you the jump on training camp, delve into the fans banter and call on all bar/restaurant owners/operators who love the Raptors. Other topics covered in TRAP'D Chat Alley-Oop 3.04: ~ Audio Clips from Media Day (yes, including Kawhi's Laugh) ~ Lowry dodging summer calls from Ujiri and Nurse ~ Kawhi vibing well with Nick Nurse ~ Nurse's plans for Powell ~ Latest Jimmy Butler news ~ TCAO to create a fantasy team ~ TS95 looking to start live game nights at establishments ~ Social media activities Segments in this episode: Run That Back The Jump We The Fans Fantasy Corner TS95 Announcements Find us on social media @trapd95 and find more of what you deserve at trapdsince95.com - you laugh, but it's no joke! #TCAO Toronto Raptors fans, we want to hear from YOU! Follow us, subscribe, turn on notifications, listen, comment and share. Mikey Charley and Illicit run back where the Raptors placed in ESPN's Top 100 NBA Players with the Top 20 yet to be named, talk about Jimmy Butler requesting a trade, and share some tweets and comments from our nation of fans. 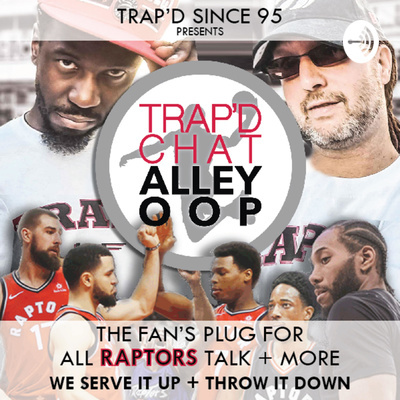 Segments in TRAP'D Chat Alley-Oop 3.03: Run That Back The Jump We The Fans Unnamed Segment Raptor Rant Find us on social media @trapd95 and find more of what you deserve at trapdsince95.com - we'll be right back! #TCAO Toronto Raptors fans, we want to hear from YOU! Follow us, subscribe, turn on notifications, listen, comment and share. Mikey Charley and Illicit run back Sports Illustrated's Top 100 NBA Players and where Raptors placed, give you the jump on Kawhi possibly settling in the 6ix, and share some tweets and comments from our nation of fans. Other topics covered in TRAP'D Chat Alley-Oop 3.02: ~ Kyle Collinsworth signing ~ Kawhi's purchase ~ Jeremy Castleberry on the coaching staff ~ Toronto Talks Sports interview with assistant coach Phil Handy ~ Fan tweets (including Gabrielle Union, yes, we're claiming her!) ~ Head-To-Head: Kyle Lowry vs DeMar DeRozan ~ Illicit's encounter with Rafer Alston Segments in this episode: Run That Back The Jump We The Fans TRAP'D Ground Raptors Tales Find us on social media @trapd95 and find more of what you deserve at trapdsince95.com - we'll be right back! #TCAO Toronto Raptors fans, we want to hear from YOU! Follow us, subscribe, turn on notifications, listen, comment and share. Mikey Charley and Illicit discuss our new podcast format, run back the Raptors off-season to-date, give you the jump on training camp, and share the best from our nation of fans. Other topics covered in TRAP'D Chat Alley-Oop 3.01: ~ 15th roster spot rumours ~ the Raptors' Vegas odds of winning the 'ship ~ summer workouts ~ fans on social media ~ fans against Masai and how will they feel if... ~ why can't the Raptors young players get on that championship glow up? ~ Colin Kaepernick signs to Nike, Steve Nash catches heat for supporting Segments in this episode: Run That Back The Jump We The Fans C'mon Man For The Culture Find us on social media @trapd95 and find more of what you deserve at trapdsince95.com - so just chill til the next episode! #TCAO Toronto Raptors fans, we want to hear from YOU! Follow us, subscribe, turn on notifications, listen, comment and share. TRAP'D Chat Alley-Oop Season 2 Episode 9, Aug 8 2018 #TCAO MIkey Charley and Illicit talk about what Greg Monroe brings to the Raptors, the NBA snubbing Toronto for Christmas, and upcoming changes to the TCAO podcast and TRAP'D Since 95. TRAP'D Chat Alley-Oop Season 2 Episode 8 #TCAO Raptors fans, visit www.trapdsince95.com for more of what you deserve. TRAP'D Chat Alley-Oop Season 2 Episode 7 #TCAO Raptors fans, visit www.trapdsince95.com for more of what you deserve. TRAP'D Chat Alley-Oop Season 2 Episode 6 #TCAO Raptors fans, visit www.trapdsince95.com for more of what you deserve. TRAP'D Chat Alley-Oop Season 2 Episode 5 #TCAO Raptors fans, visit www.trapdsince95.com for more of what you deserve. TRAP'D Chat Alley-Oop Season 2 Episode 4 #TCAO Raptors fans, visit www.trapdsince95.com for more of what you deserve. TRAP'D Chat Alley-Oop 2.02 - Oct 19th 2017 Raptors fans, visit www.trapdsince95.com for more of what you deserve. TRAP'D Chat Alley-Oop Season 2 Episode 1 - Sept 29 2017 Raptors fans, visit www.trapdsince95.com for more of what you deserve.